Happy Valentine's Day From Pioneer Magnetics. Ready for a fulfilling relationship? Let PMI target your high power needs! 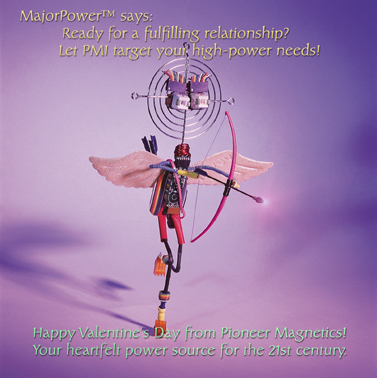 Happy Valentine's Day from Pioneer Magnetics! Your heartfelt power source for the 21st century.